Home/News/Press conference to demand their right for rehousing. Press conference to demand their right for rehousing. The inhabitants of Douar Ouled Dlim organised a press conference this Thursday 17 May 2018 to demand their right for rehousing. 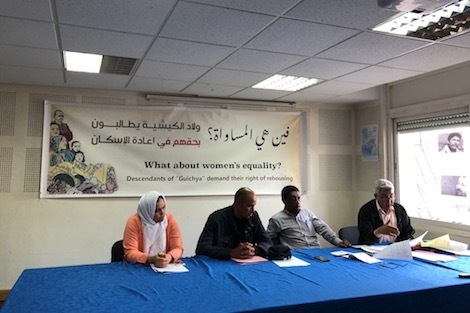 The conference aimed at shedding the light on the current situation of 126 families from Douar Ouled Dlim whose land was expropriated by a private real estate company but were never compensated. 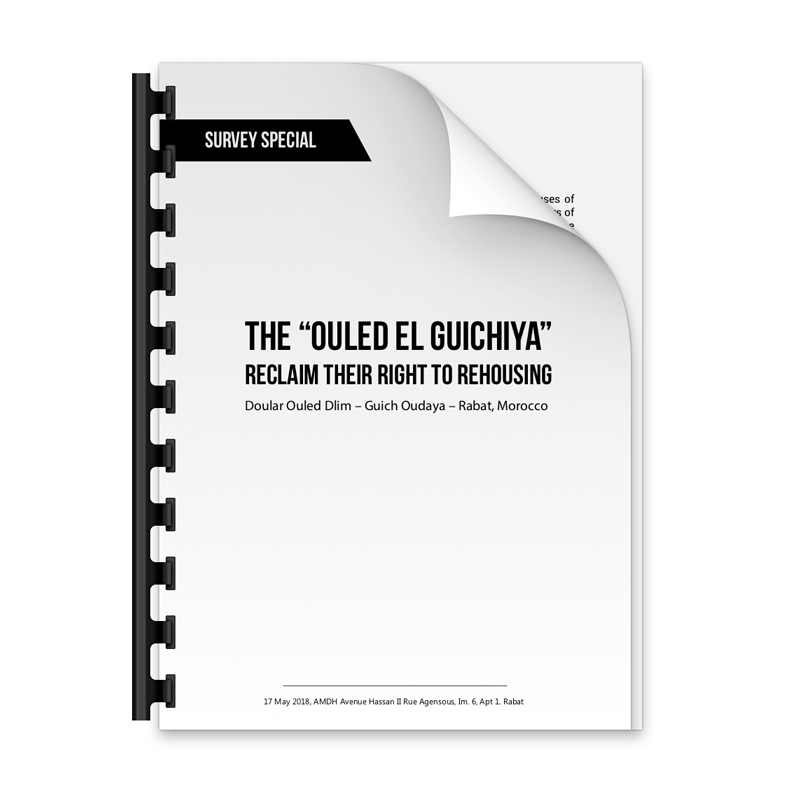 Asmaa, one of the residents explained how during the process of land expropriation, “sons of Guichiya” i.e children of the Guichya mother never received an indemnity for the loss of their lands. Abdellah Hajjaji, an inhabitant, added that many families are still living in makeshift camps for over four years waiting for the authorities to meet their demands. 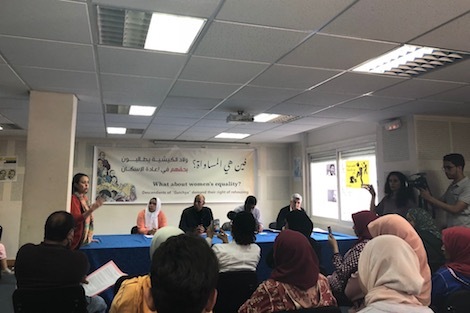 Many Moroccan and international human rights organisations such as Moroccan Association for Human Rights (AMDH), Instance Marocaine des Droits de l’Homme and International Women’s march came to support inhabitants and to show solidarity until their right to rehousing is met. © Copyright 2012 - | Landless Morroccans By Ahmed AlamEldin | All Rights Reserved.